On the first trading day of the A-share market on Monday, the market opened with a good start. The Shanghai Composite Index rose 1.36% to the first half of the year, and the GEM index rose 3% to 1300 points. However, it should be noted that although the indices have risen, but the amount can not be effectively released, the rising color is not enough, the short-term inertia will be high or there will be shocks, and it is not appropriate to be overly optimistic at present. On the plate, the concept of pork stocks rose sharply.Young eagle farming,New WufengWait for more than one daily limit. Pork concept stocks have already seen a long period of increase, leadingZhengbang TechnologyThe stock price has doubled,Makino sharesAlso set a new record high. And the collective upswing on Monday has the suspicion of accelerating the summit, investors should pay attention to the risks. The 5G concept is coming back,Bang Technology,Eastcompeace,Dongshan PrecisionWait for more than one daily limit. However, this section should only be a "fried cold rice" market, which is suspicious and it is difficult to play the "king of the king". On Monday we mined three stocks for investors, includingAzure creature,Accumulated electronicTwo stocks rose daily. Next, with the release of the listed company's performance mine risk, the opportunities for individual stocks will gradually increase, and we will continue to tap the leading stocks for investors to help you get excess returns. In order to better serve the secondary market investors and solve the problem of user stock selection, in May last year, we launched an upgraded version of the A-share headline - A-share headline Z3 essence version. 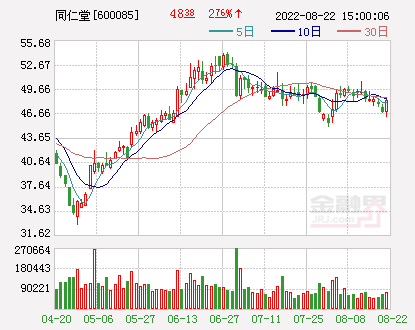 Since its launch, “Long Yi Comments” has accumulated more than 60%, and has unearthed one short-term strong stocks. It has become a beautiful landscape in the weak market and has won the recognition and favor of many investors. Recently, the A-share market has experienced significant fluctuations. We feel that A-share investors are not easy. For this reason, we will adjust the monthly price of the “A-stock headline Z3 Essence Edition” from 200 yuan to 168 yuan, and promise that as long as the Shanghai index is at 3000 points. Underneath, we will continue to maintain a monthly price of 168 yuan. 1. Log in to the financial sector website or the mobile financial community, and click on the A-share headline Z3 Essence Edition to purchase. 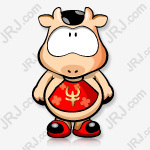 Second, pay attention to the "Financial website (ID: jrjnews2013)" or "Financial sector stock (ID: jrjstock)" WeChat public number, click on the A-stock headline in the menu bar to buy. Review: A-share pig year opens a red hot spot how to grasp! 48 brokers recommended 249 IPO queuing companies. CITIC Jiantou has the most inventory. The A-shares are opened for profit: the funds on the north continue to increase their positions.